A couple weeks ago I visited Washington, D.C. during the beginning of Cherry Blossom season. 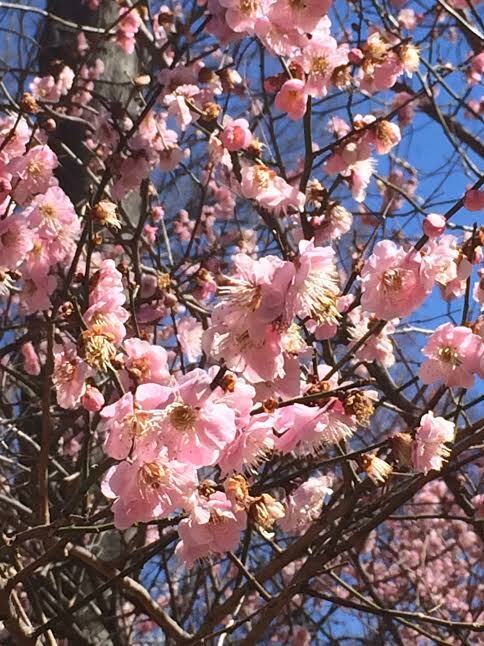 Not many trees were blooming yet, but sighted a few trees that were blooming beautifully. I love cherry blossoms in the springtime…I love the flowers and I love the colors. Cherry Blossoms also inspire me with my handbags. 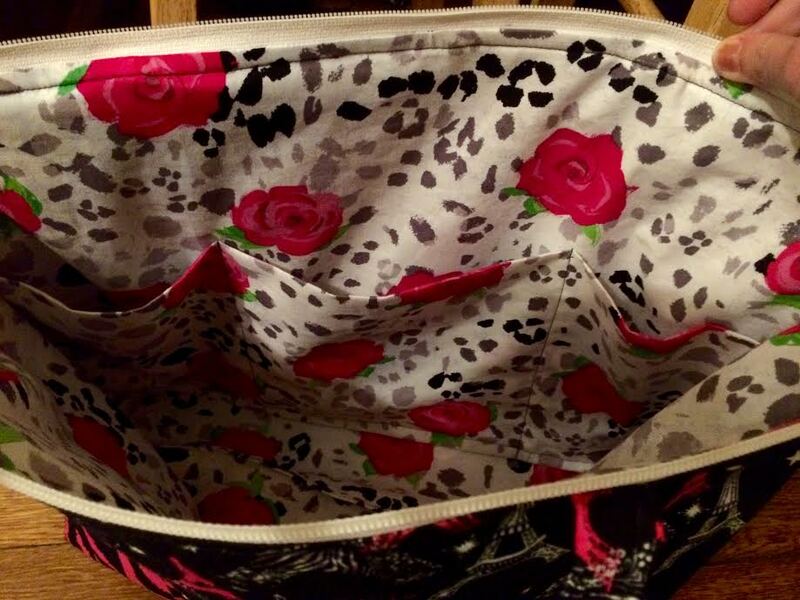 The past few weeks I have been making handbags with floral patterns and pink fabric. 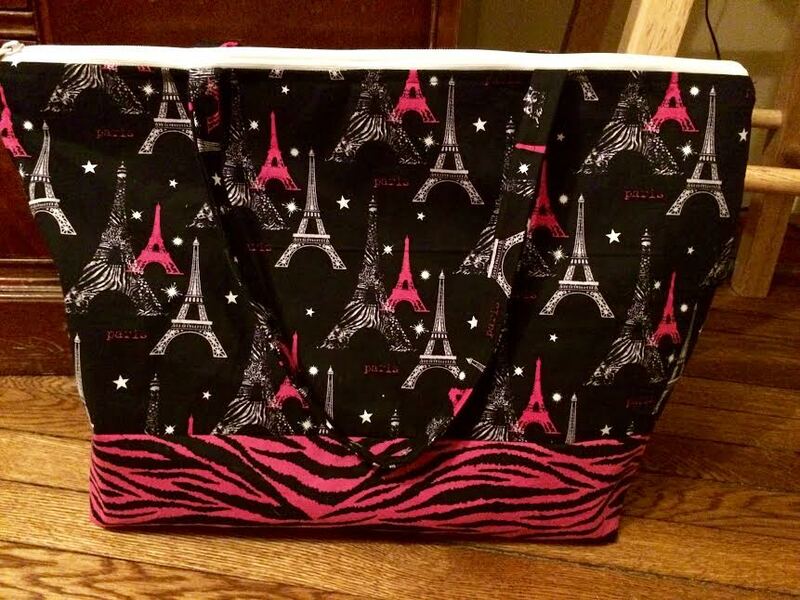 My most recent creation is a zippered tote bag with Eiffel tower and animal print patterns, and for the inside I used pink floral fabric. 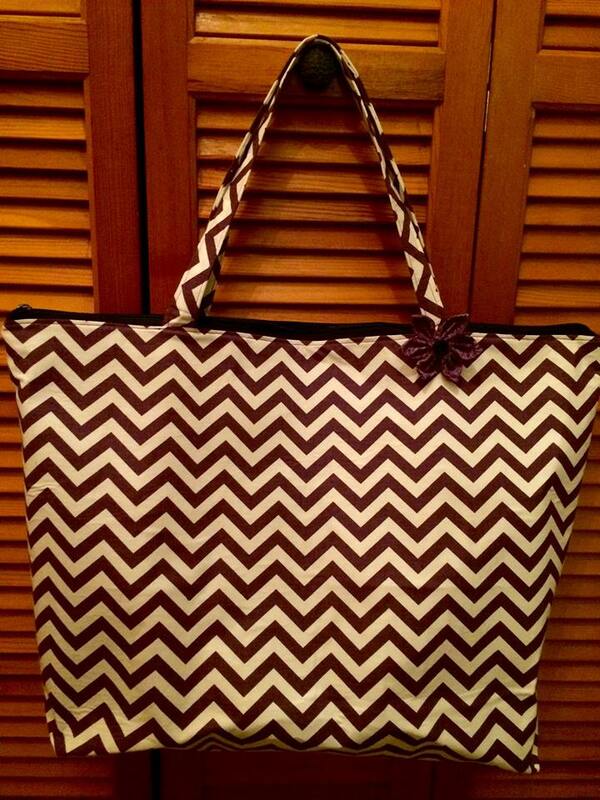 I plan to drop this fabulous bag off at 3 Little Black Birds. In my spare time, I also love to bake. 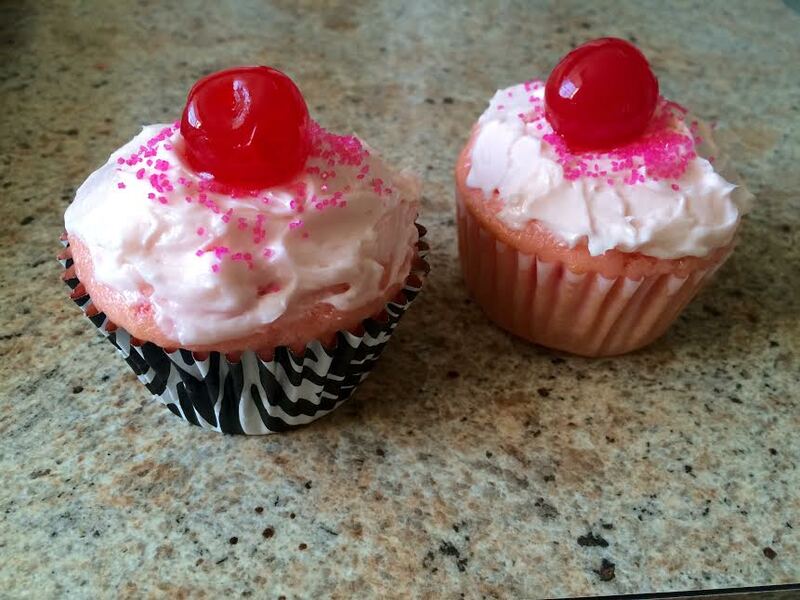 When I bake, I usually bake cupcakes and after seeing the cherry blossoms, it also inspired to bake cherry cupcakes for Easter and for my birthday that is this Saturday. 🙂 The cupcakes turned out delicious! Not to mention, I love animal prints. 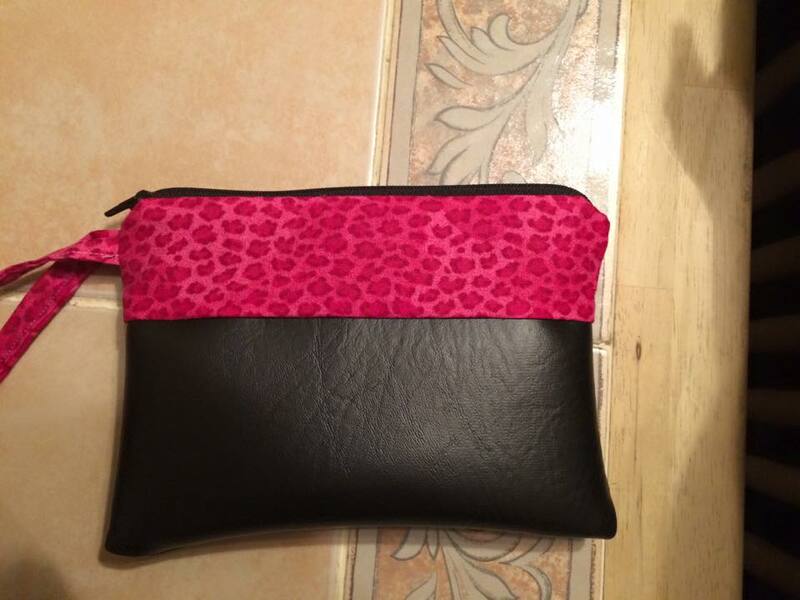 My latest handbags and zippered pouches, I have been including leather fabric along with some kind of animal print fabric from leopard prints to snake prints. 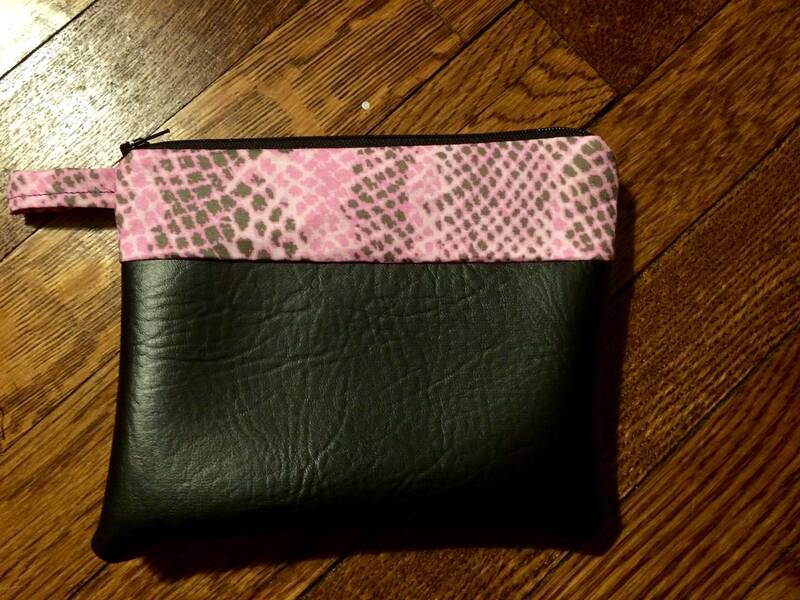 The leather pouches were an experiment but I love how they turned out, and plan to sell them at the upcoming craft show along with the other pouches. 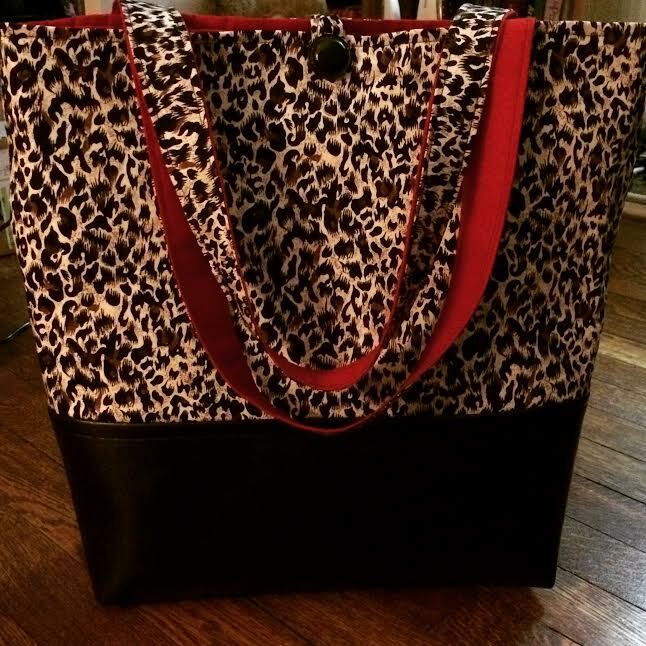 I have also made a fabulous leopard tote that is selling at 3 Little Black Birds. This Spring, I have began to make bigger handbags with zippers. 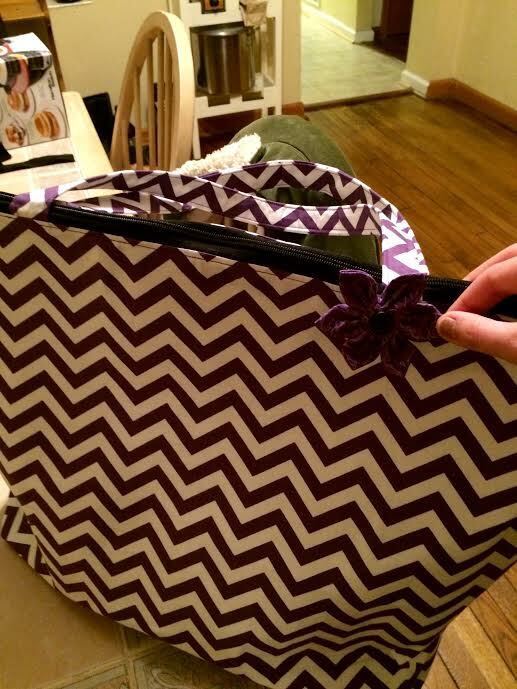 Along with my zippered Paris tote, I also made a purple chevron handbag, which is a great size for an overnight bag or a carry on. I have only just began sewing with zippers a few months ago, they can be a little difficult to sew sometimes but I am very proud of what I accomplished with them. More creations to come soon!